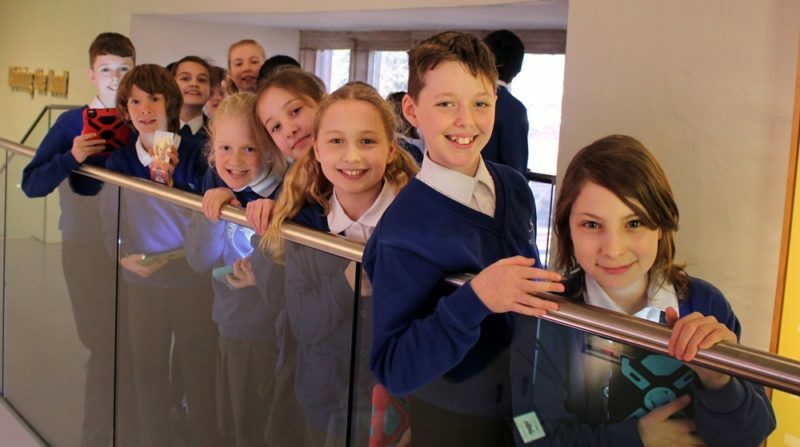 Out of an innovation supported last year by Arts Council England, Storywalks was able to pioneer a different approach to engaging pupils through The Museum of Somerset’s collections. A year on and Storywalks has proudly been invited back to inspire and connect pupils further. 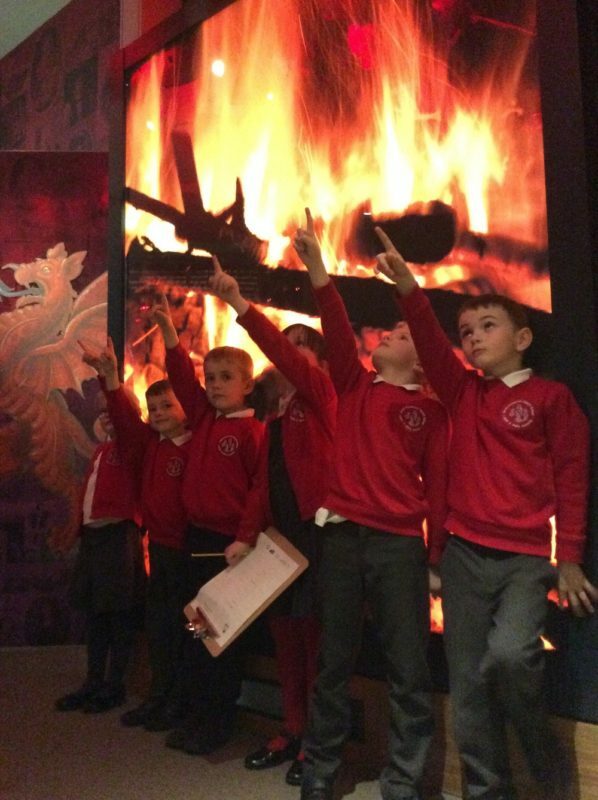 This time, essential funding has been provided via the Department for Education’s Museums in Schools programme, administered by Arts Council England. Thanks to this funding 517 students have so far visited the Museum and taken part in Storywalks sessions. This includes children who have never before visited a Museum. Storywalks is a curious hybrid of tech and tale, with care it can weave through and illustrate artefacts and exhibits in a rather unusual way. Recently Norton Fitzwarren Primary School pupils experienced The Giant’s Daughter Storywalk, unlocking the clues to reveal text and tale which they read aloud to their peers. Year 2 pupils are often referred to as emergent readers so to ensure they gain the most from the day the class is divided into groups of five each with an adult to support and guide them. Their Storywalk began beneath the cauldrons in the Making Somerset gallery. It continues the familiar tale of Jack and the Beanstalk. After the giant dies from his great fall the giants daughter inherits Cloud Castle and begins to redecorate. To do the job properly she has to clear out all her father’s old junk. She orders the servants to throw every stick of furniture and treasure over the ramparts where they fall into Somerset far below and are rescued by the Museum! It is a curious thing creating a story inside a Museum, a place which by default is full of tales, facts and history. But the mixing of familiar narrative with this ancient history seems to give the pupils a neat way in, and with the addition of a little tech using iPads they are in their element. I must stress here the gentle balance between tech, narrative and passage length is very finely tuned, to keep story and pupils on task; looking, observing and listening. Towards the end of the session the narrative directs the pupils back to beneath the cauldrons where they hunt out just two letters cast into the side of one large pot suspended from the ceiling. When you are next in the Museum, look to see if you can spot the letters yourself, or better still, choose one of the Storywalk tales, grab your kids (or grand kids) and go on a Storywalk adventure in the Museum. These tales are currently free and some even have chapters written by local Parkfield Primary School pupils during the pilot last year.